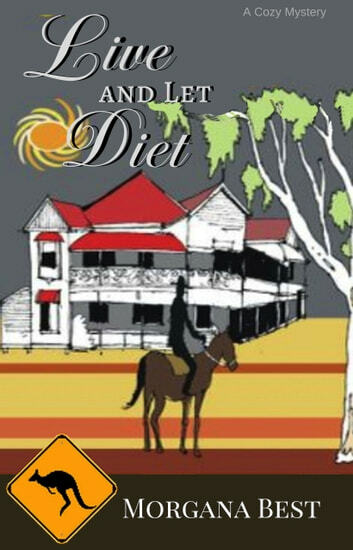 Sybil Potts moves to Little Tatterford, a small town in the middle of nowhere in Australia, seeking to find peace and quiet after the upheaval of her divorce. Although the town is sleepy and nothing has ever happened, her arrival coincides with a murder in the property adjacent to her cottage. Sybil soon finds she is at odds with the attractive Blake Wessley, the exasperated police officer who is trying to solve the murder. After Sibyl narrowly misses becoming the next victim, she turns her attention to the suspects. Is it the English gentleman, Mr. Buttons, who serves everyone tea and cucumber sandwiches, or her landlord, Cressida Upthorpe, who is convinced that her fat cat, Lord Farringdon, speaks to her? Or is it someone else entirely? This is a very good cosy murder mystery. Very well done by the author. I liked the characters too. Looking forward to more from this author. Fun book with whacky characters and surprise ending to the murder. A few typos and spelling errors but otherwise enjoyable. The struggle to find the murderer before being murdered youself, great reading. Love the twists and humour.